Aayush Sharma is making his Bollywood debut in Salman Khan production Loveratri, which also stars Warina Hussain. During its trailer launch, Salman also talked about how sister Arpita Khan revealed to the Khan family that she wanted to marry Aayush. 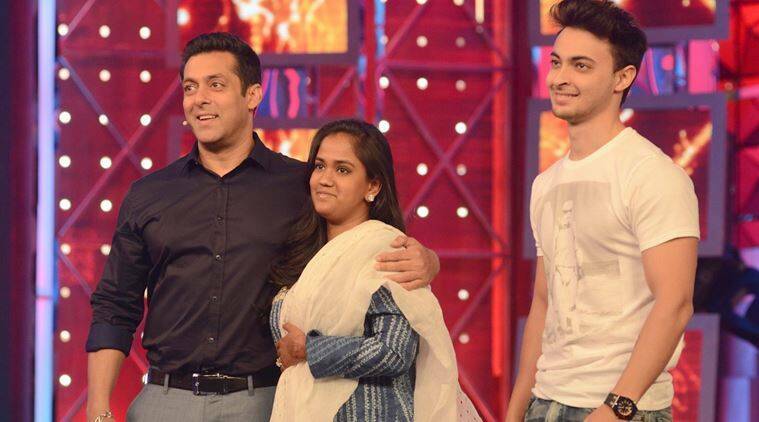 Arpita Khan and Aayush Sharma had also made an appearance on Salman Khan hosted TV show Bigg Boss. Salman Khan is a family man and this isn’t an unknown fact. We saw a glimpse of his bonding with brothers Arbaaz and Sohail on Koffee With Karan too. But more than anyone, it is their youngest sister Arpita Khan who holds a special place in the life of the three brothers. No wonder, they are possessive about her and her wedding to Aayush Sharma in 2014 was one of the most lavish affairs Bollywood saw in recent years. Salman is now backing Aayush’s big Bollywood debut, Loveratri. The cast of the film including female lead Warina Hussain and director Abhiraj Minawala was in New Delhi for the trailer launch. And amid sharing anecdotes from the sets, Salman also revealed something about the time when Arpita introduced Aayush to the Khan-daan, before her marriage. 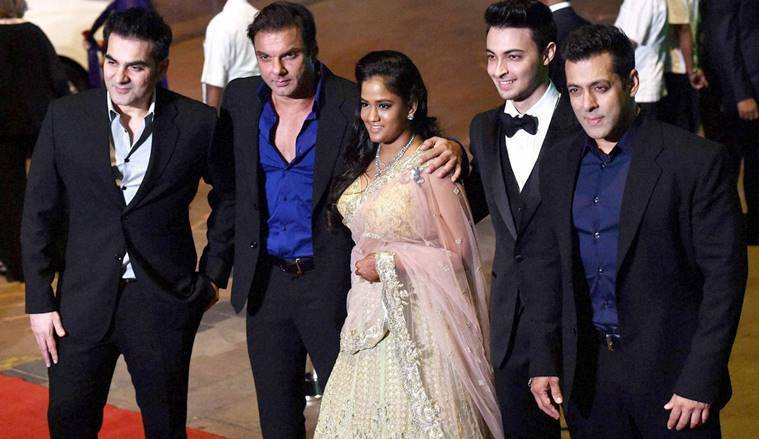 As per Salman, all the brothers were initially hesitant but later came to terms with Arpita’s choice. Brothers Salman Khan, Arbaaz and Sohail at the wedding of Arpita Khan and Aayush Sharma. Arpita tied the knot with Aayush on November 20, 2014, at Falaknuma Palace in Hyderabad. The two have a two-year-old son Ahil. Both Arpita and Ahil also accompanied Aayush at Loveratri trailer launches in Mumbai and New Delhi.